Looking for something to do with your kids? Then this is the right spot for you! Please note that dates and times are subject to change. Please call ahead to confirm events. Apple Blossom Baby: Circle time, practical parenting classes available. Also offers play dates, parenting, cloth diaper classes, much more! 977 East Ave. #90, please call 345-1617 for more details or visit www.appleblossombaby.com. Barnes & Noble Storytime: Held weekly on Saturdays at 11am in the children’s book section. Call 894-1494 for more info. Barry Kirshner Wildlife Sanctuary and Education Center: The mission of the Barry Kirshner Wildlife Foundation is to provide rehabilitation and long-term care for exotic and native species, as well as to provide educational programs on all levels, emphasizing wildlife and habitat conservation. Field trips, tours, camps and more. Call 533-1000 or go to www.kirshner.org for more info. Book Family Farm: Fun, Educational, Year Round Field Trips & Tours, and Grass-Fed Meats. Fun, educational farm tours Saturdays: $5 per child, adults free if accompanied by child. RSVP bookfamilyfarm@gmail.com or 342-4375. For up to date info, “like us” on Facebook. Boys & Girls Club of Chico: The Boys & Girls Club of Chico, the positive place for kids and teens ages 6 to 18, offers a variety of walk-in, facility programs Monday through Friday. $10 per year. 892-4756. Butte Parent Cafe’: Free public events where parents have meaningful, guided conversations that help solve problems which could affect their children. Dinner and childcare will be provided free of charge. Parents, Foster Parents, Grandparents, Providers, and other people working with or raising children or anyone in the community who is interested in strengthening families in our community are encouraged to attend. Café is offered once a month in Oroville and once a month in Chico. www.butteparentcafe.com. Chapman Food And Fitness Festival: Held every Friday from 2–5:30pm at 1010 Cleveland Ave. For more information, call 624-8844 or visit www.cChaos.org. Chico Air Museum: The Chico Air Museum is located at the Chico Municipal Airport. This museum features air exhibits that are fun for the whole family! Open Thursday – Sunday from 9am-2pm. FREE! 345-6468, www.chicoairmuseum.org. Chico Art School: Classes in painting and drawing for ages 7+. All levels. Monday-Saturday. Email for homeschool, after school and adult class availability. $25 per class-1 1/2 hr. Email Janet@chicoartschool.com or find them on Facebook: www.facebook.com/ChicoArtSchoolandGallery. Chico Certified Farmers’ Market-Saturdays: Take advantage of all the wonderful produce grown locally at Chico’s year round Farmers’ Market. Held every Saturday from 7:30am-1pm, rain or shine. Located at 2nd and Wall St. parking lot. Chico Dojo: Kids Karate classes for kids 3 and up. 30 years of teaching experience. Classes include: All Belts Kids Karate, Adults All Belt Karate, Kabudo (Weapons Training), and Advanced Karate. Please call 898-9753 or go to www.chicodojo.com. Chico Doula Circle: During our meetings, we welcome new families, attend to established clients, and present experiential learning opportunities on a variety of topics related to pregnancy, birth & breastfeeding. For more information visit www.chicodoulacircle.com. 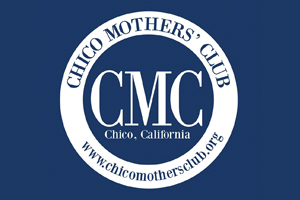 Chico Mothers Club: Ongoing weekly playgroups and a variety of other fun activities for young children. Gather weekly for friendship and support. For detailed information, please visit www.chicomothersclub.org. Chico Museum: Located at Second and Salem Streets, Downtown Chico. Donations gladly appreciated. Phone 891-4336, or visit www.chicomuseum.org. Chico Yo Yo Club: Come learn new tricks, show off your skill, & win great prizes. Bird in Hand in Downtown Chico. Every Saturday at noon. 893-0545. Enloe’s Mother and Baby Education Center: Ongoing before baby classes, after baby classes, as well as safety classes. Please call 332-3970 to register or go to www.enloe.org and click on Mother and Baby Care Center for more information and to view a full list of classes. Family Swim: The 90 degree indoor pool is always comfortable any time of year. Family Swim is open to anyone (no membership required) on Fridays from 5-8 pm. Cost is just $2 per person. For more information, contact Chico Water Sprites at 342-2999 or visit www.chicowatersprites.com. Fantastic Fridays: Athletic Horizons has the ultimate playgroup! Takes place on the 1st and 3rd Friday of the month for all children, walking to 5 years old. Contact for more information: 893-4967 or www.athletichorizons.com. Free Tennis Clinic: Held every Saturday at the Chico Racquet Club at 10am, open to all ages. 1629 Manzanita Ave, 895-1881. Friday Night Concerts: For nearly 40 years, the Friday Night Concerts have been a favorite summertime tradition. Held every Friday night, between May and early September, the Friday Night Concerts are Chico’s best place to hear live, local music for free! Located in the City Plaza in the heart of downtown, these concerts offer entertainment to suit every musical preference — styles range from blues to swing to classic rock to reggae. 6-7:30pm. For a performance schedule please go to www.downtownchico.com. Gateway Science Museum: Come explore the Gateway. Visit the many hands on exhibits for kids and families of all ages. Open Wed. through Sun. noon to 5pm. For more information, call 898-4121 or visit www.csuchico.edu/gateway. Home Depot Kids Workshops: Chico & Oroville. Hands-on building workshop for ages 5-12. Saturdays, 9am-12pm. Free. Chico: 342-0477; Oroville: 538-0521. Jazzercise: FREE Childcare! Contact for more details and class times. 896-9743, www.jazzercise.com. Kids in Safe Seats: Low cost car seat program for Butte County residents. For more info on this program, please call Butte County Public Health 800-339-2941. Kids Night Out: Fridays at In Motion Fitness from 5:30-9:30. Each night includes dinner and an exciting activity. Must pre-register. Call 895-kids or visit www.inmotionfitness.net to find out more. La Leche League Breastfeeding Support Group: La Leche League offers free mother-to-mother support for breastfeeding. Babies and young children are always welcome at meetings. Meetings are held throughout the month. Please refer to the LLL of Chico Facebook page, call 487-4109 or email lllofchico@gmail.com for details and times. Meet & Greet: Meet & Greet is for parents or caretakers of children (adult or youth) with developmental disabilities. This free program offers an evening of respite and enjoyment for parents. Meet & Greet provides supports and ideas from knowledgeable parents in a light-hearted, enjoyable environment. Childcare is not provided. For more information please call Loren at Autism lifespan, 897-0900. Michael’s Kids Craft Day: Every Saturday children 3 and up can make a craft to take home. Stop in anytime between 10-12pm. Michael’s in Chico, 2041 Dr Martin Luther King Dr.
MOMS: Making Our Mothering Significant is a group of moms who get together to share the joys and challenges of motherhood. Every mom needs a community that will encourage and support her. 1193 Filbert Ave, on the 1st and 3rd Thursday of each month at 9am, from September through May. Child care is provided. First meeting is free! Contact EV Free Church for more information: 343-6022. MOPS Chico: MOPS at Grace Community Church: support group for mothers of children 0-preschool, just like you! Meets 1st and 3rd Tuesdays September-May. Call for more information: 343-5528. Free Childcare. Museum of Northern California Art (MONCA): The mission of the Museum is to make art accessible and promote awareness of northern California artists through collections, exhibitions, and educational programs. www.monca.org. Patrick Ranch Museum: Educational Field Trips & More at the Historic Patrick Ranch. For more information visit our web-site at www.patrick ranchmuseum.org. The Patrick Ranch Museum is also open on Saturdays for tours of the Glenwood Farm house. Tours from 11am-3pm. Visit website for upcoming events on Saturdays at patrickranchmuseum.org or call 342-4359. Roo’s Zoo Skate Session at Cal Skate: Join Roller-Roo for this specially designed session for kids 10 & under–strollers welcome. 10am-12pm. $5.50/child, includes quad skate rental (parents skate for $2.75); or $25/6-weeks. 343-1601. Rowell’s Pals Playgroup: A diverse playgroup for parents & little ones ages 1-5, of all abilities. Come sing, dance, read & play. 10-11am, Fridays. Free; preregistration encouraged. Rowell Family Empowerment of N. CA, 899-8801. Sliver Dollar BMX: First race is FREE for those looking to try something new here in Chico! There are racers as young as 3 years old and all ages are welcome! Practice/racing every Tuesday, Thursday and Sunday, weather permitting. “Like” us on Facebook www.facebook.com/sdbmx to receive current track updates. Silver Dollar Speedway: Held every Friday night. Gates open at 6pm and races start at 7pm. For more info and for a full schedule of events go to, silverdollarspeedway.com. Sunny Garden Montessori Mommy and Me Playgroups: An ongoing weekly PLAYGROUP for children and their parents. Children will be introduced to stimulating toys and activities; all guided by their parent! Please call 343-3101 for more information or visit www.sunnygardenmontessori.com. The Studio 561: Children’s painting classes, mixed media, family painting parties, birthday paint parties, and summer camps. Also offers adult classes and painting parties. By local artist, Christine Mac Shane, 370-1285, 561 East Lindo Avenue. Thursday Night Market: Held April – September from 6-9pm in Downtown Chico. Explore Downtown Chico’s Thursday Night Market on Broadway between 2nd and 5th Street, including side streets and the fabulous City Plaza! Features a bounty of farm-fresh produce, mouth-watering prepared foods from food trucks and booths, handmade, local arts and crafts, and live entertainment for all ages. downtownchico.com. Preschool Storytime, Babies Love Books, Toddler Storytime, Japanese Storytime all ages, Chinese Storytime and bilingual Storytime. Please call for times 891-2762. Get access to some great library resources… without leaving your house! You can browse the collection, check your account, use their research tools, and even find out about local book clubs. There are links for Teens and for Kids, too! Younger children can even have books read to them on their computer using the library’s link to Tumblebooks (using the Just for Kids link). Use this website to plan a trip to this Northern Californai gem! Find out about weather and road conditions, park history, operating hours, and more.